THESE COOKIES. I’m telling you, you must try this recipe. It does take 2-4 hours to chill the dough, so just be aware of that. 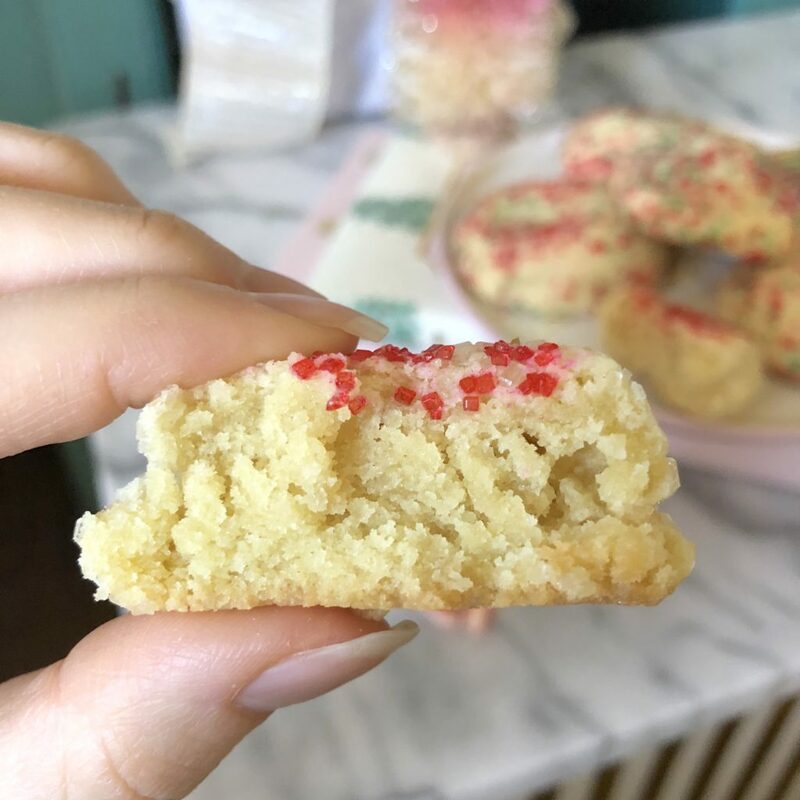 Nothing is more disappointing when you’re wanting to whip up a quick batch of cookies to either bring to a party or to satisfy that sweet craving. These are WORTH the wait. I have LOVED Landyn since the day I started following her like 2 or more years ago. When she raved and raved about these cookies I wanted to make them. They’re buttery and so soft. 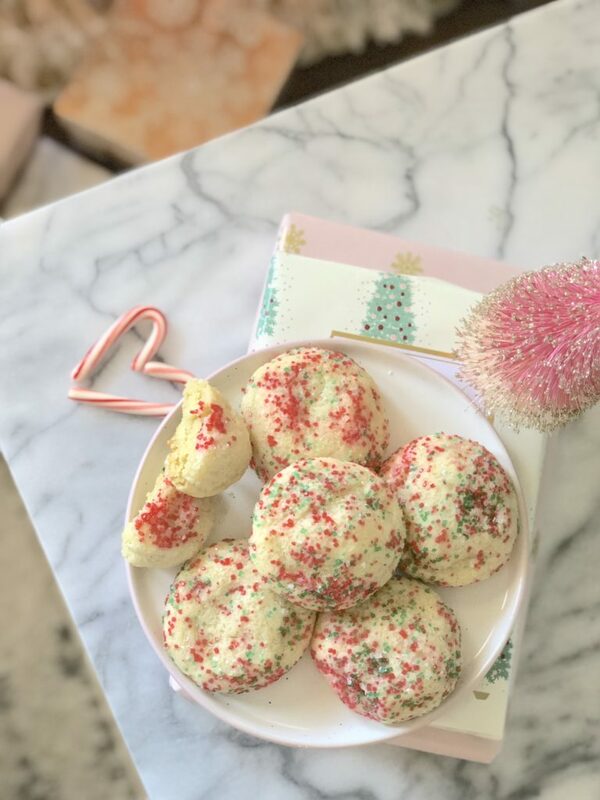 It’s a recipe we now make every year around the holidays! Cream the butter; add sugars and beat until fluffy. Add egg and beat well. Beat in the oil and add vanilla extract. In a separate bowl, combine flour, baking soda, and cream of tartar. Combine dry ingredients with butter mixture and beat until combined. Chill dough for 2-4 hours. Shape dough into 1 inch balls and then roll the balls in the sugar crystals. Place dough 2 inches apart on a cookie sheet and flatten with a fork.